not an album , tis a single. three more words. For a single, its some decent art with a great color vinyl and most importantly it sounds immaculate. Seemed like a throw away buy, but really is a great little nugget in any collection. Heavy clear with black splatter cut in 45rpm housed in polylined inner sleeve and sounds astonishing. The only thing that I don't like in this release is cover art. It's kind of "meh" to my taste. Good collectors item for fans of Kojima, two tracks from the Death Stranding game upcoming eventually. Both sound a lot more rich than the full album versions but there's a little noise out of the box. Hard to notice when there's music playing though. Back in stock at MONDO this WEDNESDAY 3/15/17 @ Noon (CST)- $15.00!! Don't buy for $50.00+ from resellers here! Pressing has a bit of background noise, but it's not noticeable when the music actually kicks in. Great album super cool design - Pressed on 180 Gram Clear with Heavy Black Splatter Vinyl. 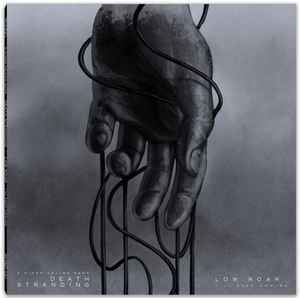 Mondo, in conjunction with Kojima Productions, is proud to present a limited edition 12" Single of Low Roar's song "I'll Keep Coming", and "Easy Way Out" as featured in the trailers for the forthcoming Hideo Kojima game Death Stranding.